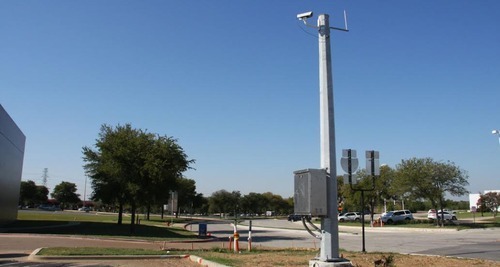 We are a leading Manufacturer of cctv poles from New Delhi, India. With over 15 years of expertise in the design, production and manufacture of CCTV mounting structures, Ventura has the security camera mountings to suit your application. Coupled with a highly skilled engineering background, and utilising the very latest in fabrication and assembly technology, Ventura's Camera Mounting Solutions is the number one, unrivalled market leader in the CCTV camera systems industry today. With in-house facilities such as laser profile cutting, forming and machining, the dependence upon external suppliers is kept to an absolute minimum, ensuring keen lead times and competitive pricing structure; whether it is for a one off bracket or large volume production batch. Very few engineering companies can boast the in-house facilities that Ventura have at their disposal, making the group a truly one stop metal working shop. The Ventura Group is ideally placed in India, UK, Middle and USA with offices at each location. Looking for “CCTV High Quality Hinging Poles”?